While searching for a place to eat lunch in Atlanta this afternoon, I asked Craig if Atlanta was known for any particular type of food (you know, like Chicago and pizza…or anything else). He immediately answered: “Chick-Fil-A.” Of course. And finally, nothing says “Atlanta” like a pet goat. What? Okay, so we’re not in Atlanta anymore, but staying at the home of my best friend from high school and her family in the middle of Tennessee. And this goat (Royal) belongs to them. We’re having a lovely time. We have 5.5 hours to go before officially clocking the first Dunham family vacation with no major “episodes.” It’s been a good one. We think we’re ready to return now. It seems like it has been a great trip! 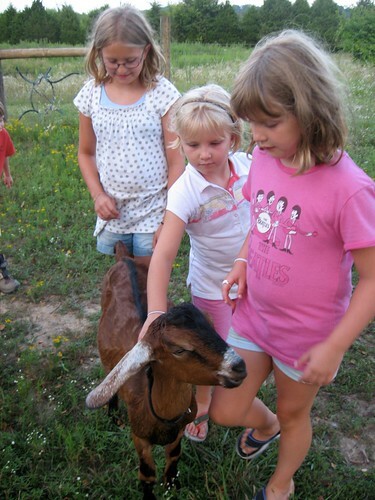 Well done– I hope the girls loved their first beach trip, goat and all. 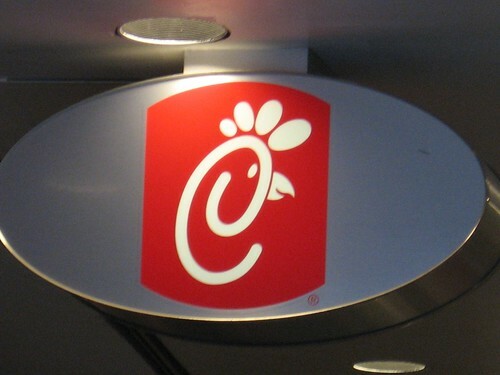 Chick-Fil-A is the best! Not one close to us but every time we are visiting my family in AL we eat it daily with a giant glass of sweet tea. 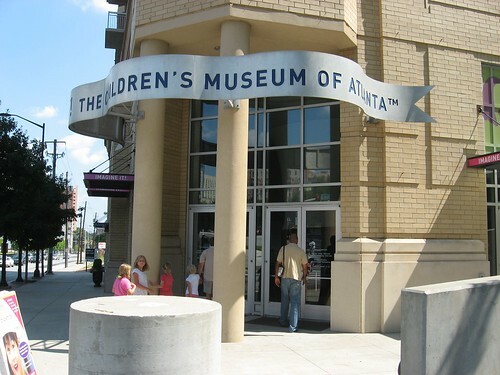 It’s a shame that the ATL children’s museum isn’t a bit better. It’s fun, but not overwhelmingly so. 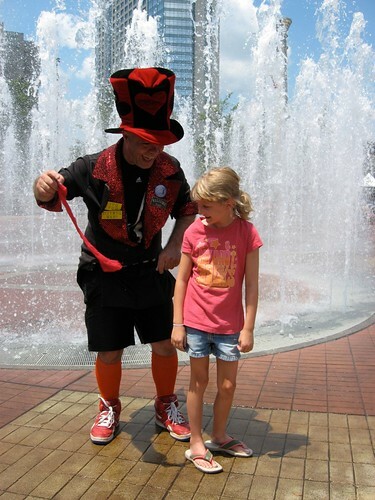 We love the one in memphis & use our reciprocity to visit there when we’re passing through. Have you been there?